For information about the 2017 water-rate increase, please click here. The Utility Billing office provides customer service to the city’s water, sewer and sanitation customers, including starting and stopping service, ordering roll-off dumpsters, and responding to inquiries about billing. All occupied city buildings must have water, sewer, and trash-collection service. Per city code, the City of Elkins is the only allowed provider of trash-collection service inside city limits. The City of Elkins cannot offer trash-collection service outside city limits. The Utility Billing office does not handle special bulk trash collection (“special pickups”). For information about this service, please click here. New water, sewer, and trash-collection service may be arranged at the front counter on the main floor of city hall. You will need to fill out an application. Please bring photo identification. Stopping water, sewer, and/or trash-collection services must be requested in writing. Water, sewer, and trash-collection services are all billed on the same statement. Bills are issued monthly on the last business day of the month. Payments are due no later than 19 days after the bill date. Unpaid accounts will be shut off 32 days after the bill date. You may pay your bill online, via U.S. mail, by dropping payment in the secure payment box located at the back of City Hall, or in person at the front counter on the main floor of City Hall. You may also pay your bill by phone by contacting one of the staff members below. A service charge applies for this service. Acceptable forms of payment include cash, money orders, personal checks and credit or debit cards. Water service is billed based on metered usage. 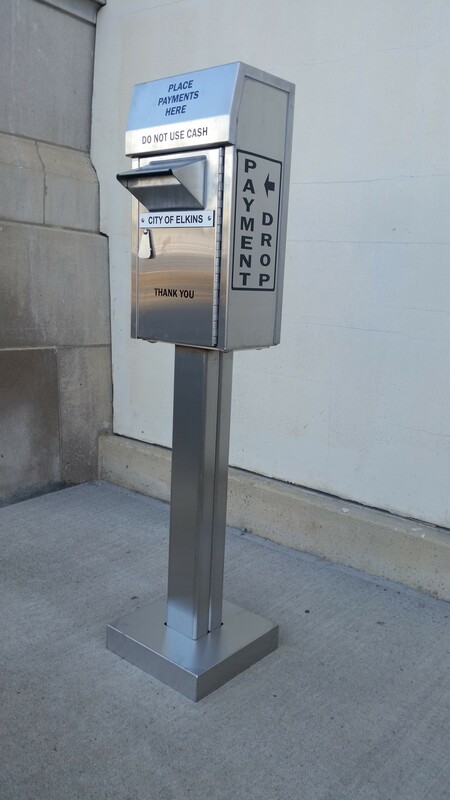 The City of Elkins uses meters that transmit usage information electronically. Usage information is usually collected around the middle of each month. Sewer service is billed based on metered water consumption. The city will adjust your sewer bill based on water usage to fill a pool. Please contact one of the below staff members for information on applying for such an adjustment.